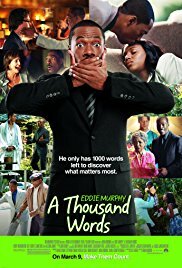 I’ve always been a fan of Eddy Murphy. You can’t compare this one with “Beverly Hills Cop” or “The Golden child”. But it’s certainly better than “Nutty Professor” or “Dr. Doolitle”. A nice mix of comedy and drama.